The SFP 1G Bidi is a small form factor pluggable module for 1 Gigabit Ethernet. This transceiver communicates over 1 single strand of single fiber. 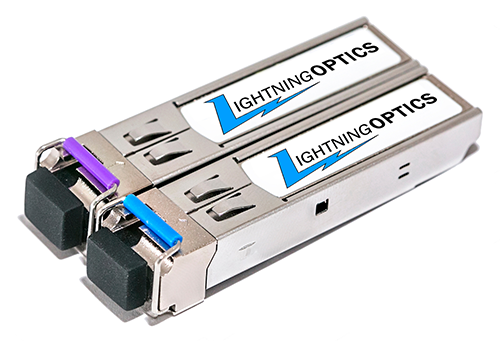 The SFP 1G Bidi comes in a U and D version the D sends out with 1490nm or 1550nm and receives with 1310nm. The U version sends out with 1310nm and receives and can receive the 1550nm or 1490nm. For communication you need the D and U on each side of the line. The 80km and above use 1490/1550 combination because of the high attenuation on 1310nm.